A bullet you could likely find in your home right now, the full metal jacket is an extremely common bullet type that is mostly used for target shooting at ranges or in your backyard, but what is the full metal jacket meaning? What is a Full Metal Jacket? The term full metal jacket means the lead bullet is encased in a separate harder metal – this is typically copper, but can sometimes be other materials and even hybrid composites. The FMJ manufacturer can have a huge variety of ammo lines using their proprietary creation methods, so you can usually pick and choose from different materials, styles and uses. Full metal jacket ammunition can also be called other things like full metal case or have additional suffixes like “boat tail” to let you know the intended use of the bullet or how it will perform. Some common types are the full metal jacket boat tail, full metal jacket flat nose, and full metal jacket truncated cone. Each of these jacketed bullets are tailored for a specific use, but they retain the basic lead properties of all FMJ rounds. The number-one perk to using an FMJ bullet is that the lead bullet is mostly (or even fully) surrounded by a copper jacket or that of another metal. This helps prevent lead from depositing itself in the barrel as it fires. As a lead bullet engages the rifling of the barrel, a small amount of lead is left behind – which builds up after several rounds, making the shots less accurate. With a jacket over the core, the depositing of metal is greatly reduced. This allows more shots to be fired before accuracy degrades. Although not a major issue for the casual shooter and hunter who may fire 100 rounds between cleaning, it's a huge advantage for the high-volume shooter. FMJ ammunition was designed in the late 1800s for use in military rifles. Not long after this, the Hague Convention of 1899 made it illegal to use bullets that easily expand or flatten inside the body. Interestingly enough, the United States did not sign off on this. The agreement held that the bullets used by the signatories could not open upon impact, such as hollow points. This is because full metal jacket rounds were likely to cause a "through and through" wound instead of mushrooming and causing a more grievous wound after impact. For the civilian shooter, this means that care must be taken when using FMJ bullets, as they can easily penetrate humans as well as whatever is behind them. 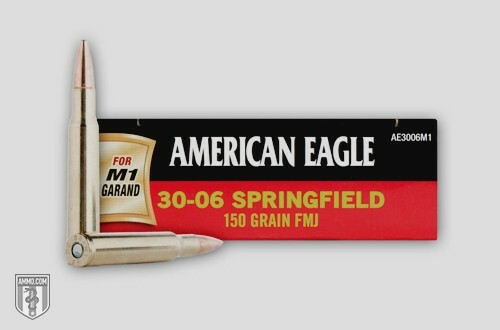 FMJ ammo performs very well ballistically, and don't lose accuracy or speed in your weapon. Because of this, the full metal jacket bullet type is extremely popular and every major manufacturer sells an assortment of it – including Aguila, Prvi Partizan, and Golden Bear. Many shooters wonder if full metal jacket bullets are illegal. Just keep in mind that some regions don’t allow FMJ bullets on public land unless it is total metal jacketed ammo.